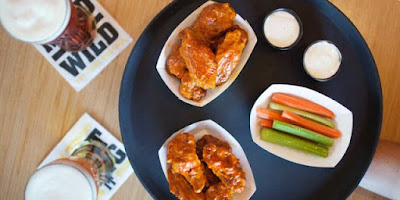 Buffalo Wild Wings is selling traditional wings for half the regular price every Tuesday at participating US locations in what they're calling "Wing Tuesdays." The half-price discount is good all day on Tuesdays on snack, small, medium, and large size orders of traditional wings. Each order includes you choice of sauce plus ranch or blue cheese for dipping as well as celery or carrots for no additional charge.